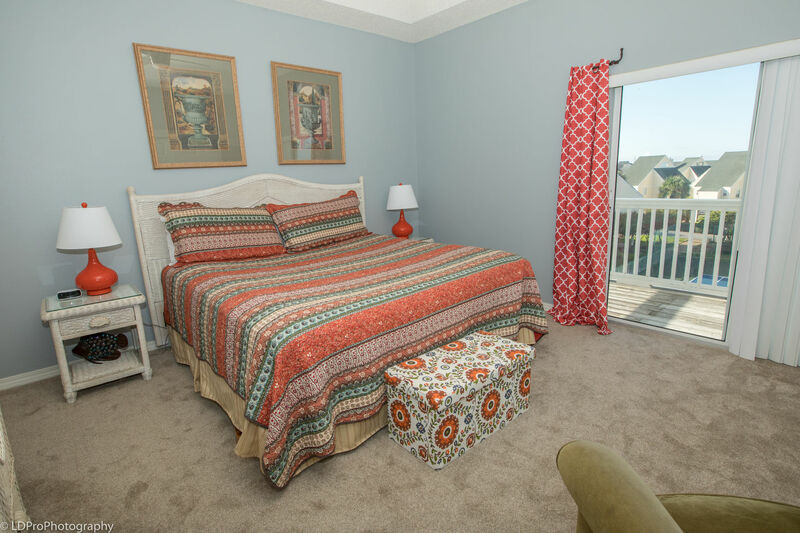 Sandpiper Cove 4239 - Holiday Isle Properties, Inc.
Look at this beautiful two-bedroom, two-bathroom condo that sleeps 6 at Sandpiper Cove, Sandpiper Cove condo 4239. 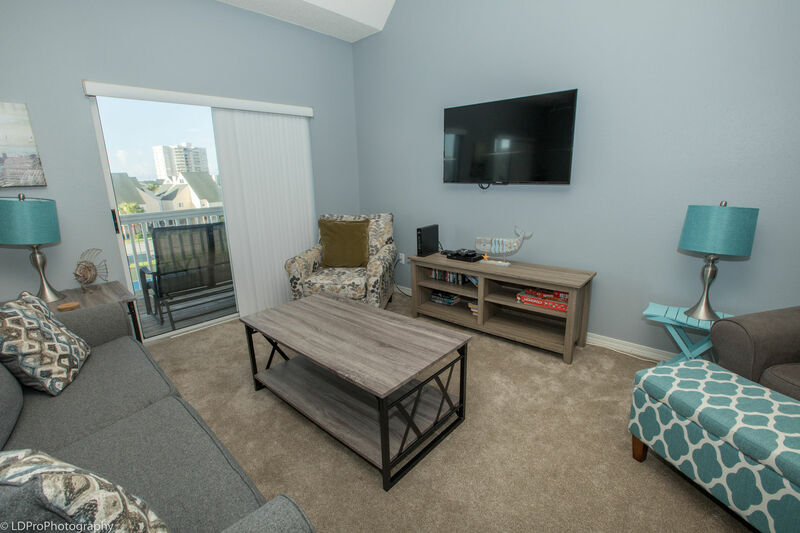 The open Living Area has a plush couch that doubles as a Queen Sofa Sleeper, two chairs, a coffee table, a wall mounted flat screen HDTV, HD Cable, a DVD Player, and sliding glass doors leading to the condo’s Balcony. 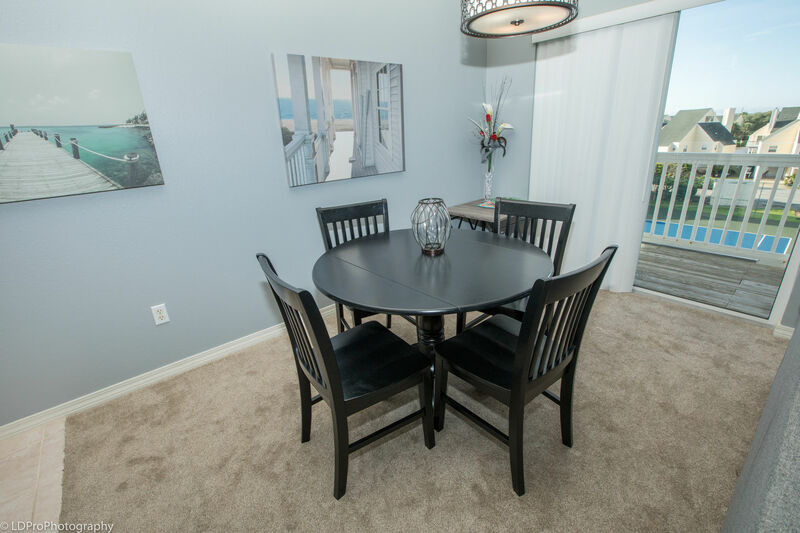 The adjacent Dining Area comes with a beautiful light fixture and a rectangular table that can sit four guests. The Dining Area has its own set of sliding glass doors leading to the balcony. Next comes the Kitchen. 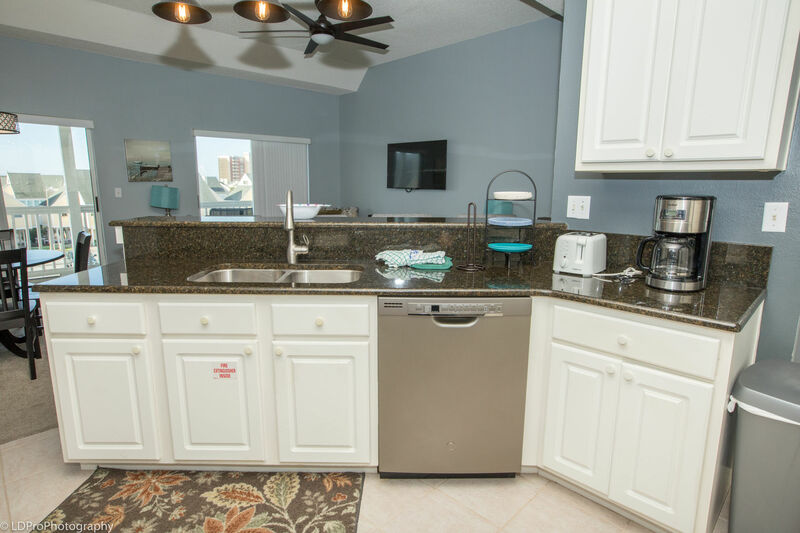 With bar seating for two guests, the Kitchen has a plethora of granite counterspace, full size appliances, and all the pots, pans, dishware, and silverware needed to prepare your favorite feast. 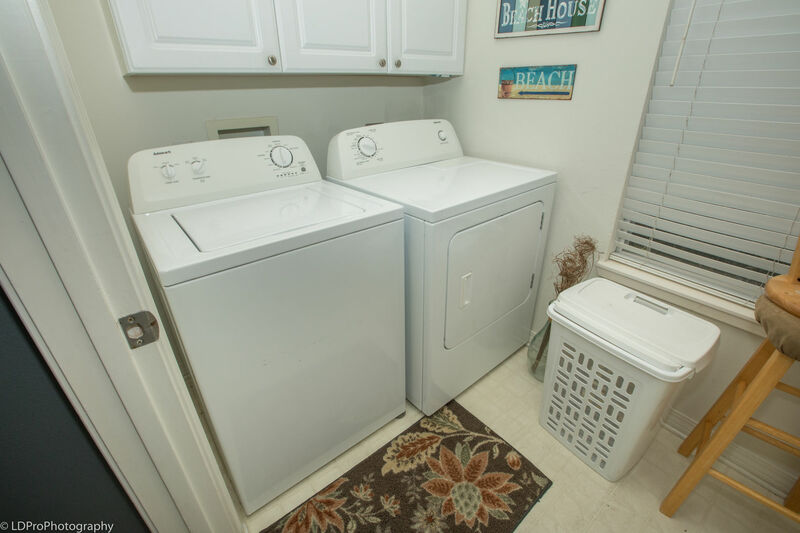 Located next to the Kitchen is a Washer and Dryer Room which comes with a full-size Washer and Dryer. 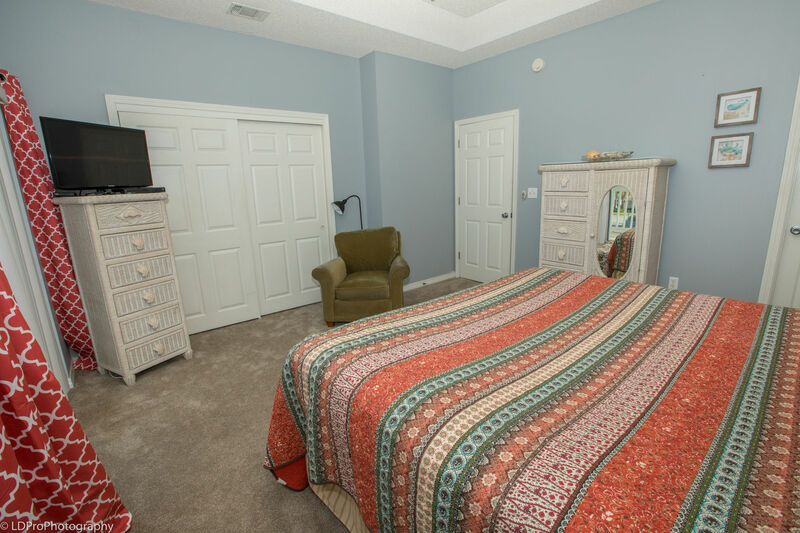 The Master Bedroom has a King Size Bed, a flat screen HDTV, a DVD player, HD Cable. and its own private Bathroom. 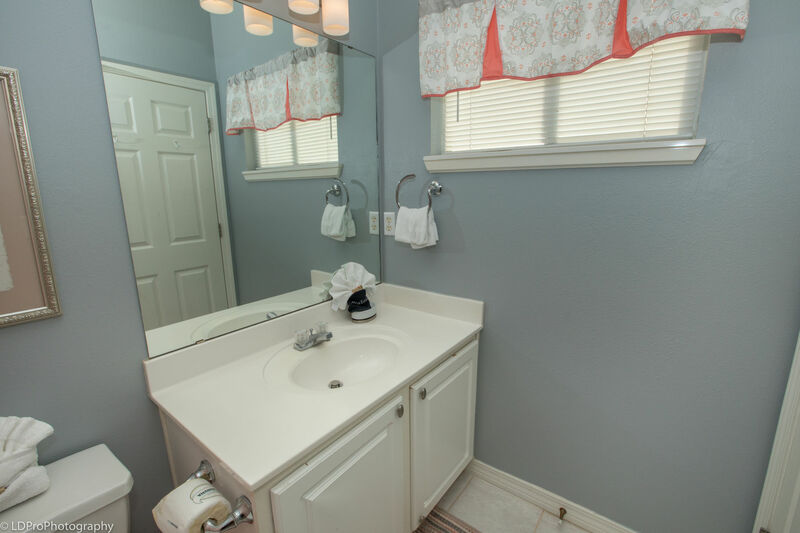 The Master Bathroom has a bathtub/shower combination. 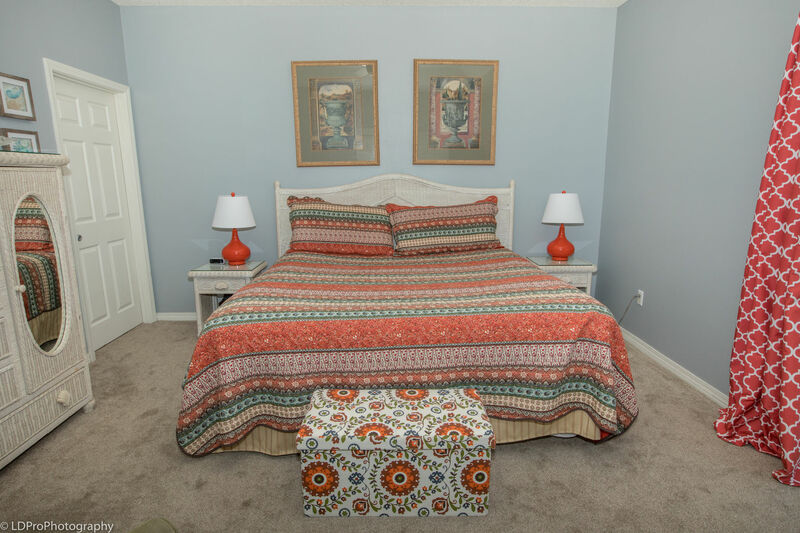 The Guest Bedroom has a Queen Size Bed, a flat Screen HDTV, a DVD Player, and HD Cable. 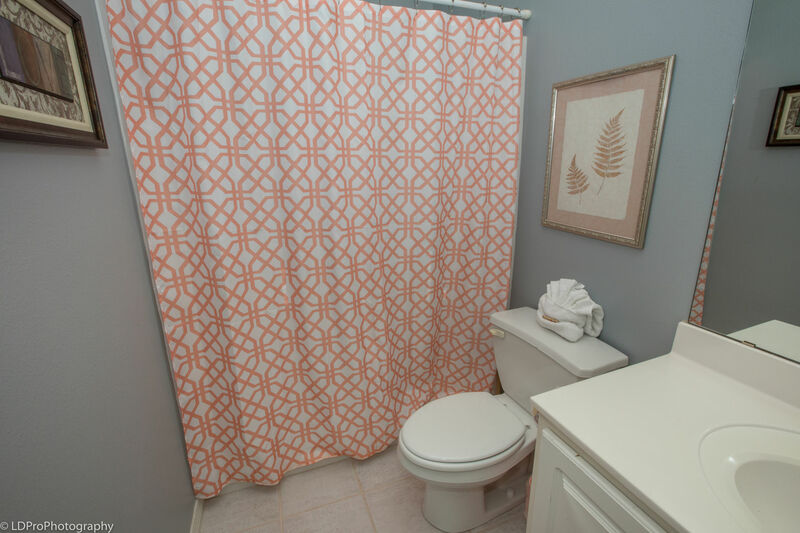 The Guest Bathroom can be accessed via the hallway and comes with a bathtub/shower combination. 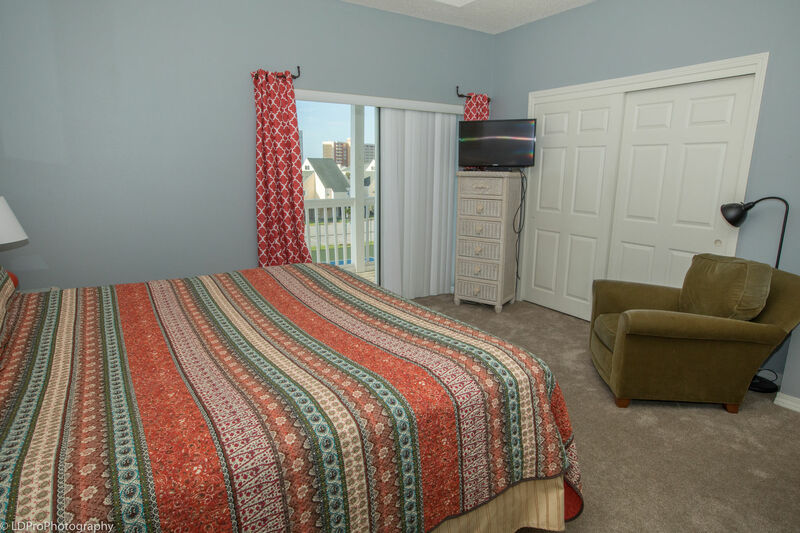 This condo is on the third floor since the ground floor is dedicated to your own private covered parking area. 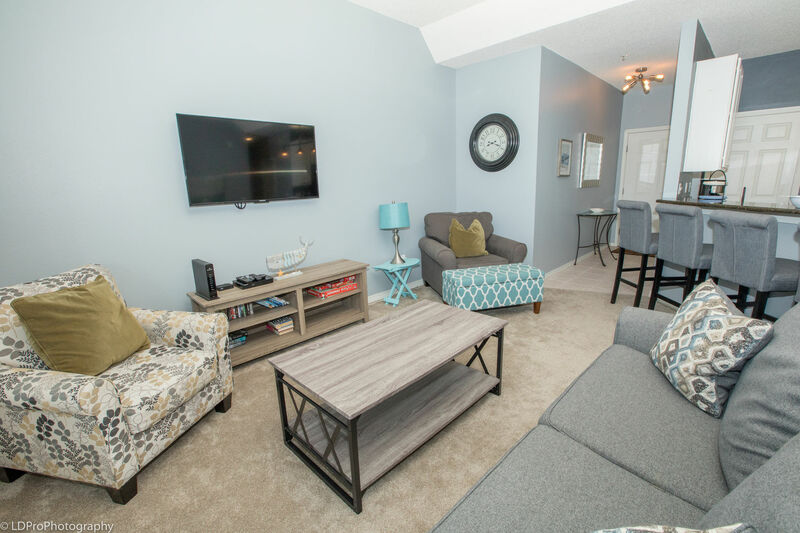 The condo also comes with complimentary Wi-Fi internet access. 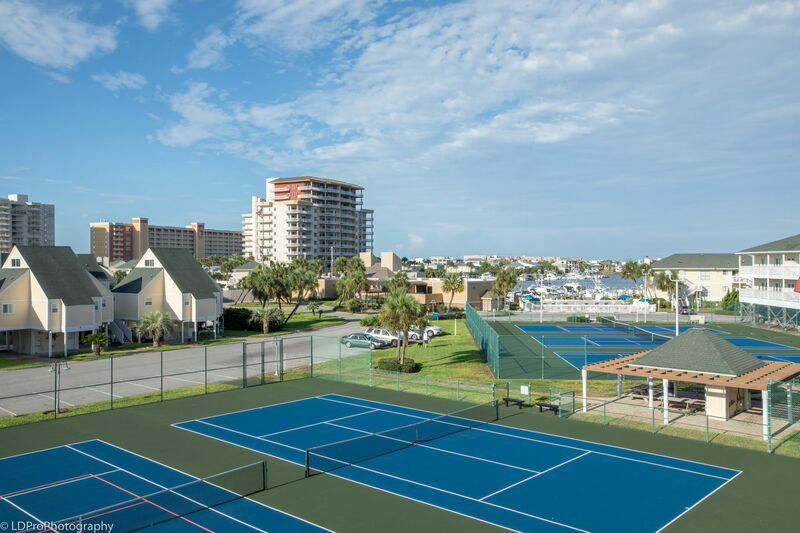 It’s hard to beat the location, value, and views of Sandpiper Cove 4239. 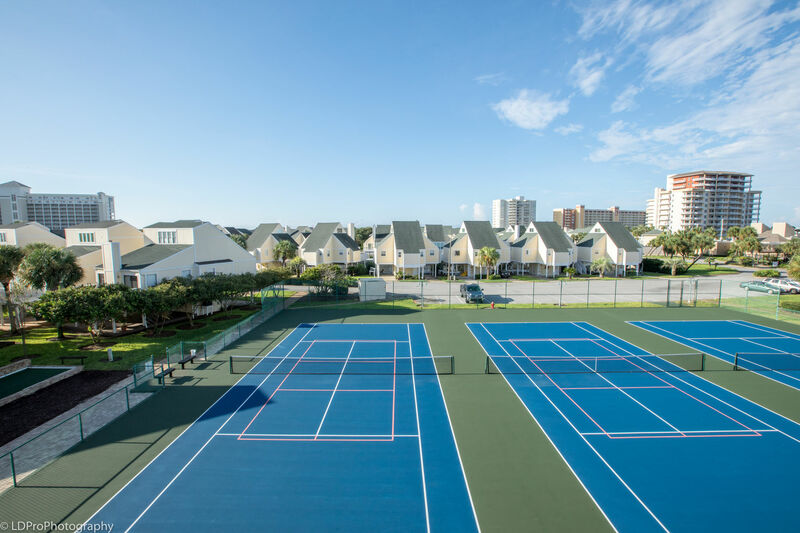 This two-bedroom condo sleeps 6 guests and is centered on Sandpiper’s property, offering convenient access to Sandpiper Cove’s 9-hole par-3 golf course, Sandpiper Cove’s pools, Sandpiper Cove’s professional grade tennis courts, And Sandpiper Cove’s boat slips. Feel like golfing? 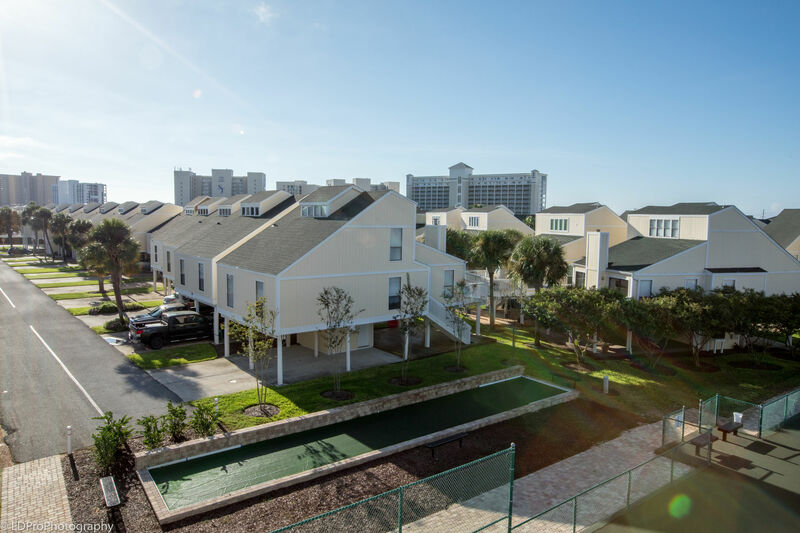 You’re in luck, as you’re steps away from one of Sandpiper Cove’s 9 par 3 holes. Feel like taking a dip in a pool? Take your pick of one of the 5 pools located in Sandpiper, or grab your beach bag and claim your spot-on part of the 1100’ of Sandpiper Cove’s private beach. 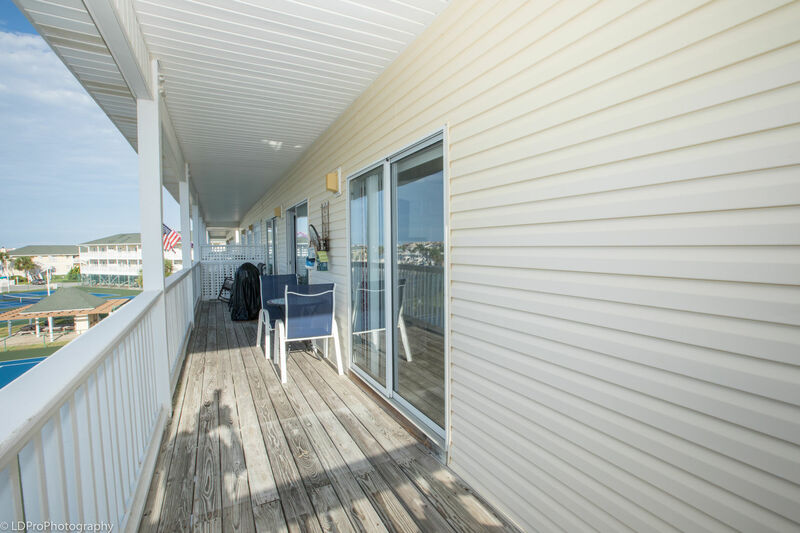 There is a 5-minute walk to the private beach, and complimentary beach front parking and bathrooms are also available. 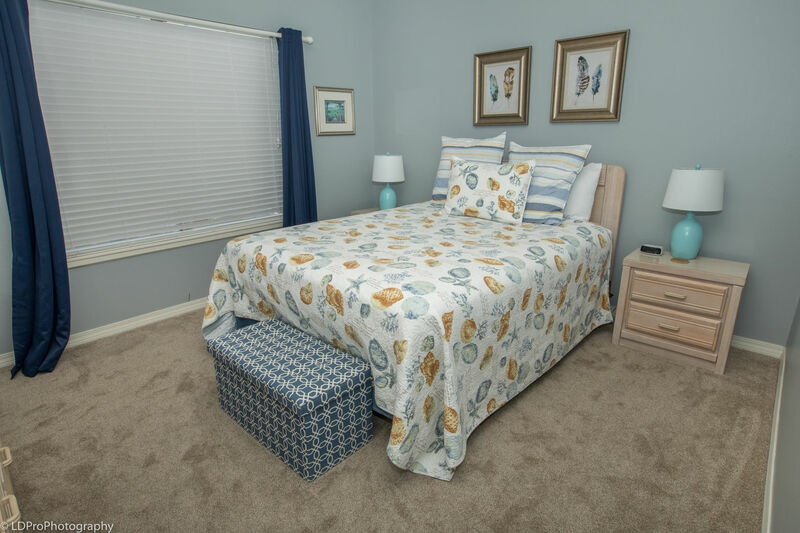 Sandpiper Cove 4239 is as good a value as it is beautiful. 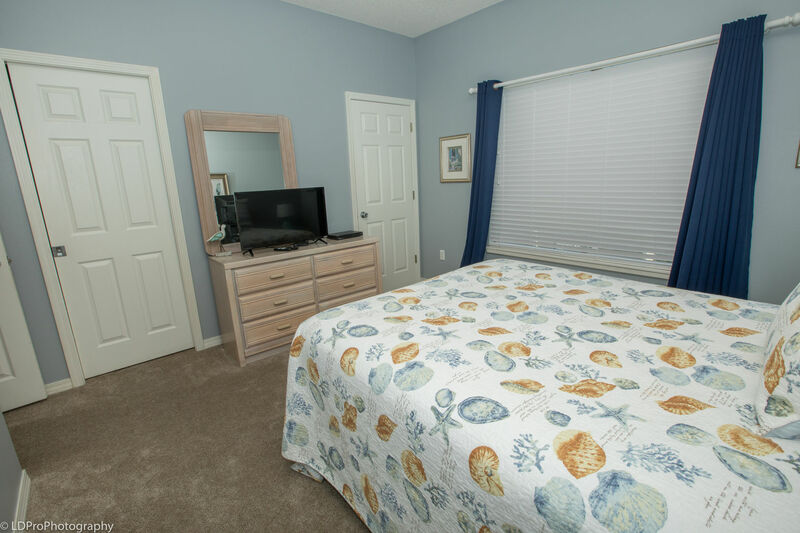 Book this condo and you will not forget or regret your stay in Destin! 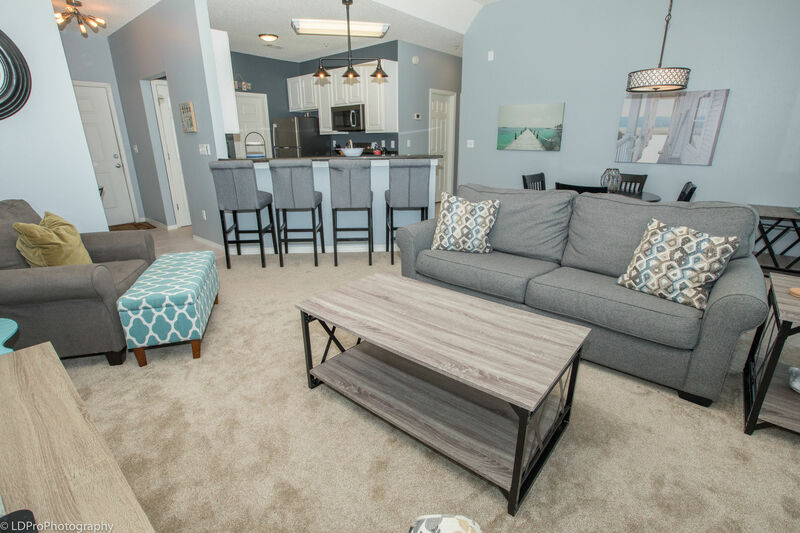 For first timers to Destin, Holiday Isle Properties went above and beyond! 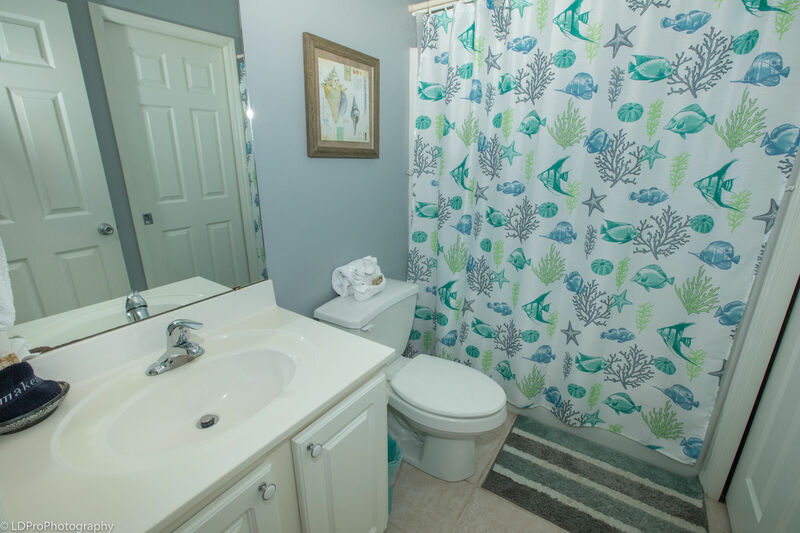 The location is great as it is a little secluded off the highway and has private beach access! Their is security at the entrance of the lot & the entire condominium is quiet and serene! The company even allows you to borrow movies and sporting equipment! We would definitely stay with them again! 4239 was lovely! 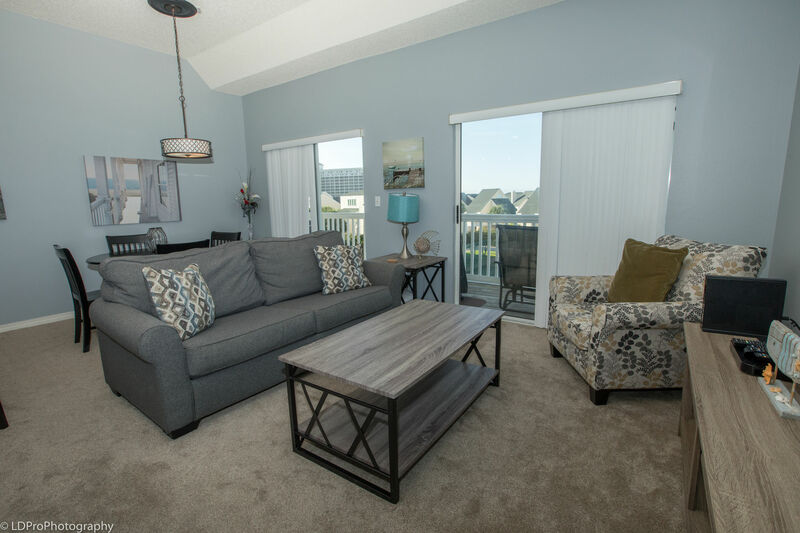 We enjoyed this spacious condo! The balcony was large and the view was amazing. Everything seemed new and updated. 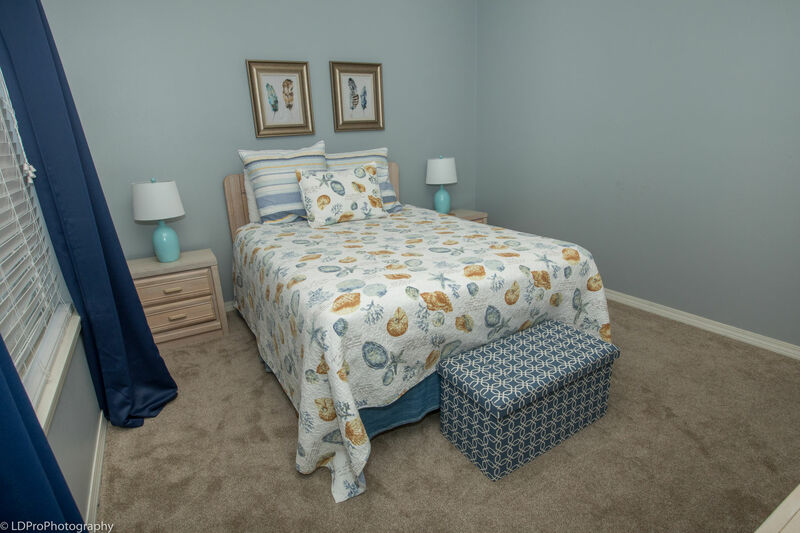 The furnishings were nicer than he pictures on the listing! Would definitely rent again! Stayed at this unit right before Thanksgiving. Unit very clean and inviting. 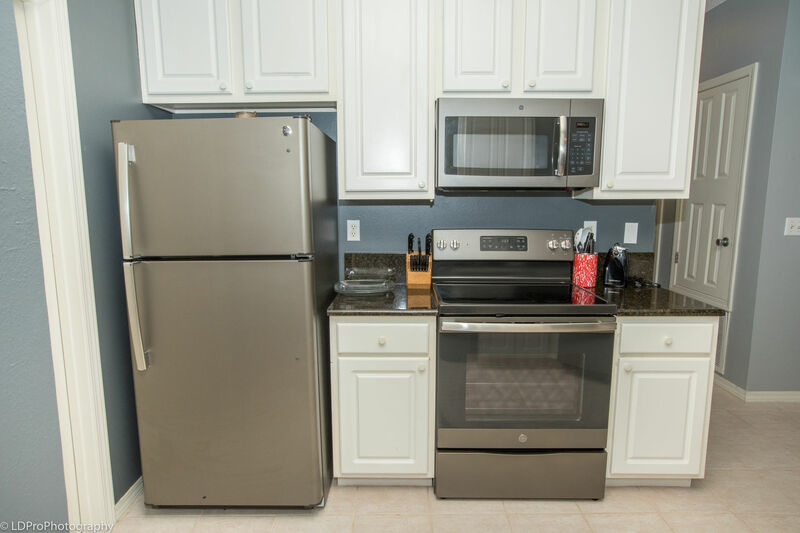 The unit has anything you would need for your stay. Easy access to the beach and good swimming pools.